Table Scraps? Not So Fast. 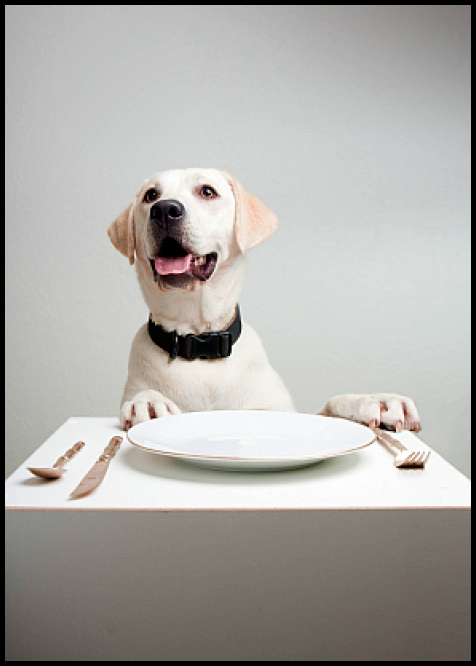 Treating your dog as one of the family is a good thing, but at dinner time it could be lethal. When it comes to food, dogs don’t have an on/off switch. Here are five foods you should never share with your dog. Chocolate – The amount of chocolate consumed affects the amount of toxicity the dog will experience. Symptoms range from vomiting to diarrhea to seizures. The darker the chocolate the high the level of toxicity for the dog. So no chocolate, especially baker’s chocolate or cocoa powder. Xylitol – This is an artificial sweetener found in gum, candy & some baked goods. While it is generally okay for human consumption (we wouldn’t eat it), this sweetener can cause a dangerous drop in blood pressure, liver damage, vomiting, & a loss of coordination. The amount is also proportional to the size of the dog; a ten-pound dog, for instance, would only need to consume one piece of gum to have a toxic dose. Grapes & Raisins – Both can cause a slew of health problems for dogs including liver failure, vomiting, increased urination, & increased thirst. Onions & Garlic -When consumed in large amounts they can cause the destruction of red blood cells & lead to the development of anemia in dogs. While again, size determines the amount of poisoning. Lethargy & reduced appetite are signs of poisoning & should be reported to your veterinarian right away. Alcohol – Besides the usual beer, wine & cocktails, alcohol can be found in deserts as well. It can also be created in your dog’s stomach if they consume store bought yeast used to make bread, rolls, or pizza. Even in tiny amounts alcohol can be fatal for you dog. Personally barking, I love carrots, cold cucumbers or a nice juicy raw beet for my treats.